No change in signals to start this week. U.S. markets continue to grind higher. Volatility spiked on Thursday, but otherwise another boring week, market-wise. 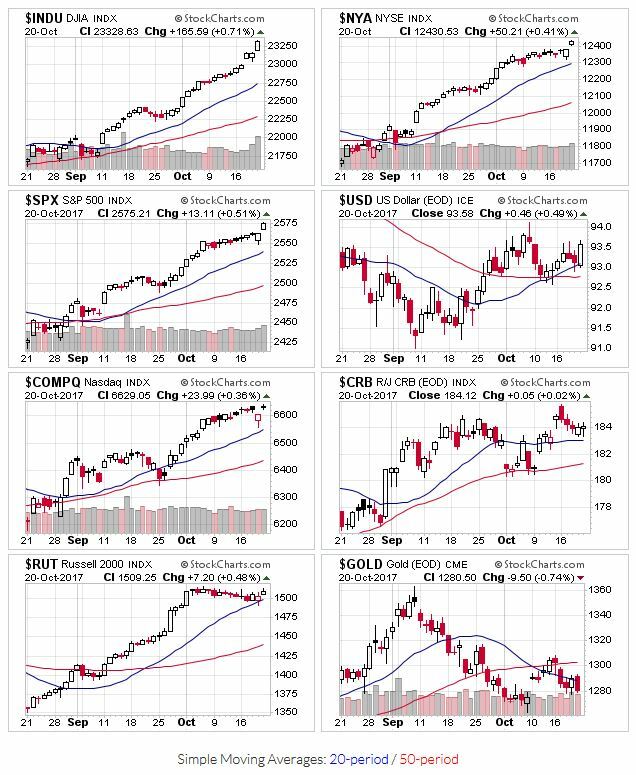 The indexes remain above their 20 and 50 day moving averages. Price and volume action is still positive, but there aren’t many new set-ups. The early September break-outs (even with their low trading volumes) are going strong. Even the less than ideal set-ups are working…although they are also more likely to give back those gains going forward (e.g. Celgene – $CELG). OEW remains in a uptrend.